Ever since I can remember, Halloween has been a time of excitement. Halloween is a time where being scared is considered fun and thrilling. As a kid, it was about filling our pillow cases as full as possible, as many times as possible, with candy. Dressing up as something other than yourself, where there really is no limits to creativity. I guess I have never really asked the adults in my life (parents, grandparents, aunts, uncles etc) where our traditions came from or what they did for Halloween growing up. I imagine it would be different for all of them as they are not originally from Nebraska. 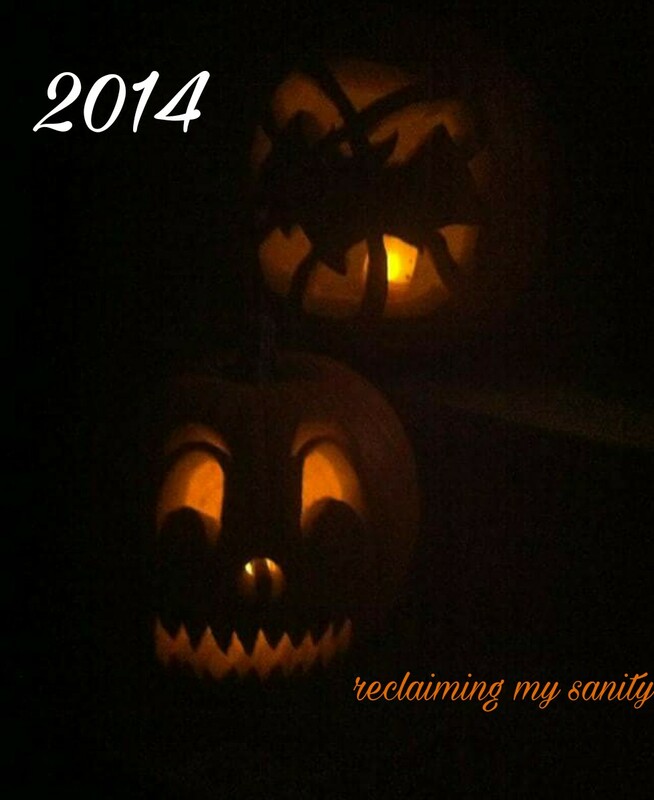 I can’t forget to mention the military life overseas on my father’s side, I am sure Halloween was different all over. 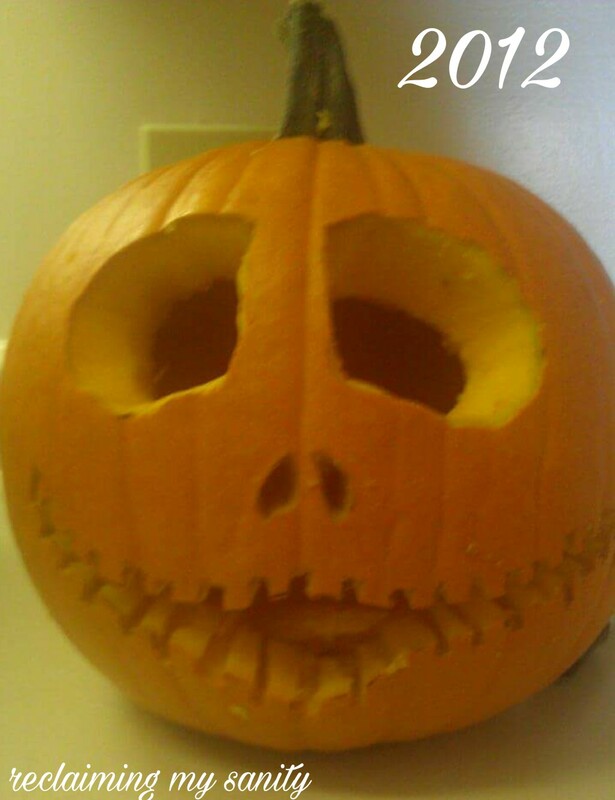 One thing I think nearly all people who celebrate/participate in Halloween do, is carve/decorate pumpkins. My family is no different. I don’t ever remember a time where we did not carve pumpkins for Halloween. We always did it together. Alas, the tradition has carried on into my little family. When Chris and I first started dating, Halloween was the first holiday we celebrated living together. 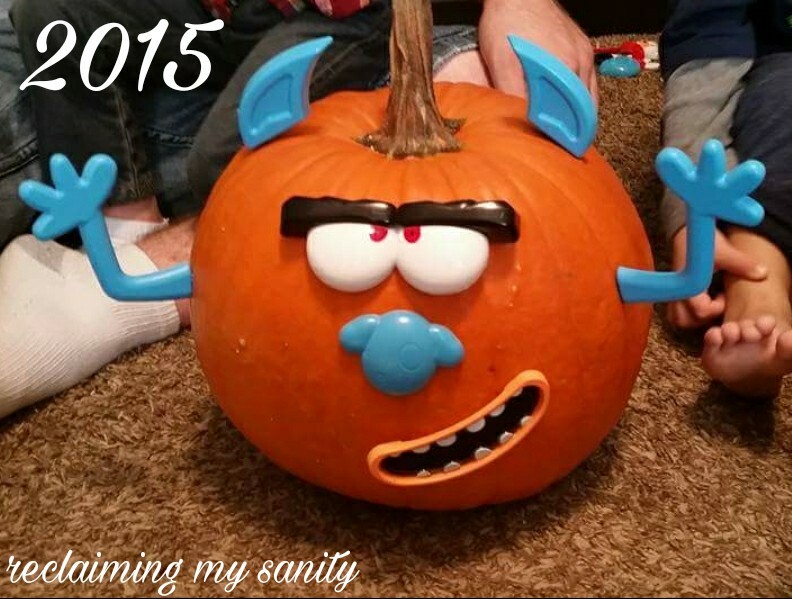 We both enjoy carving pumpkins and seeing what kinds of things we can create. Each year we have done something different. Our skills, I think, have gotten better (so has cell phone picture quality). 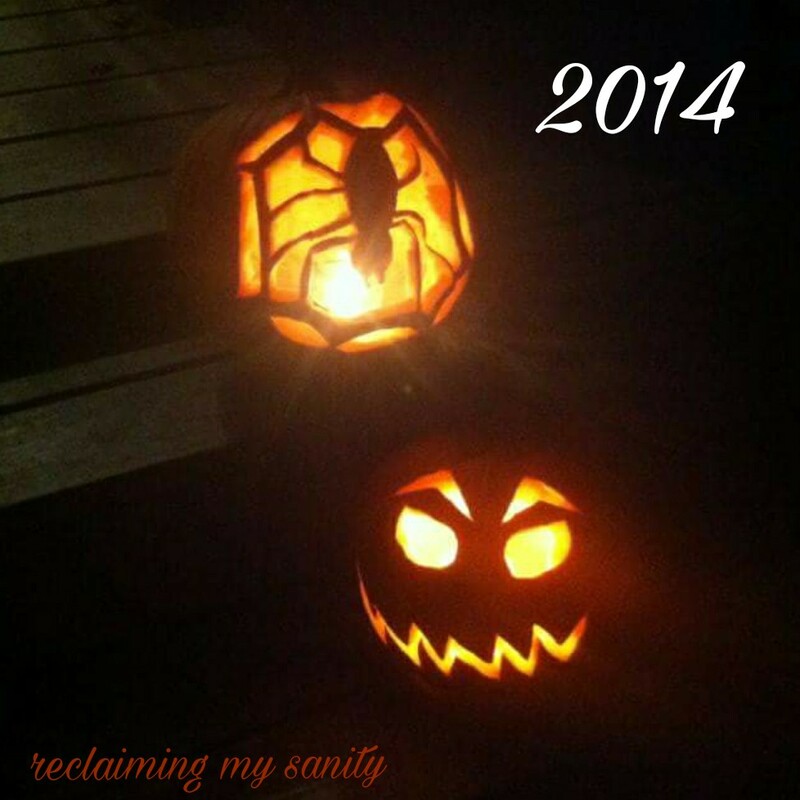 Here are the pumpkins we have done over the last 7 years. 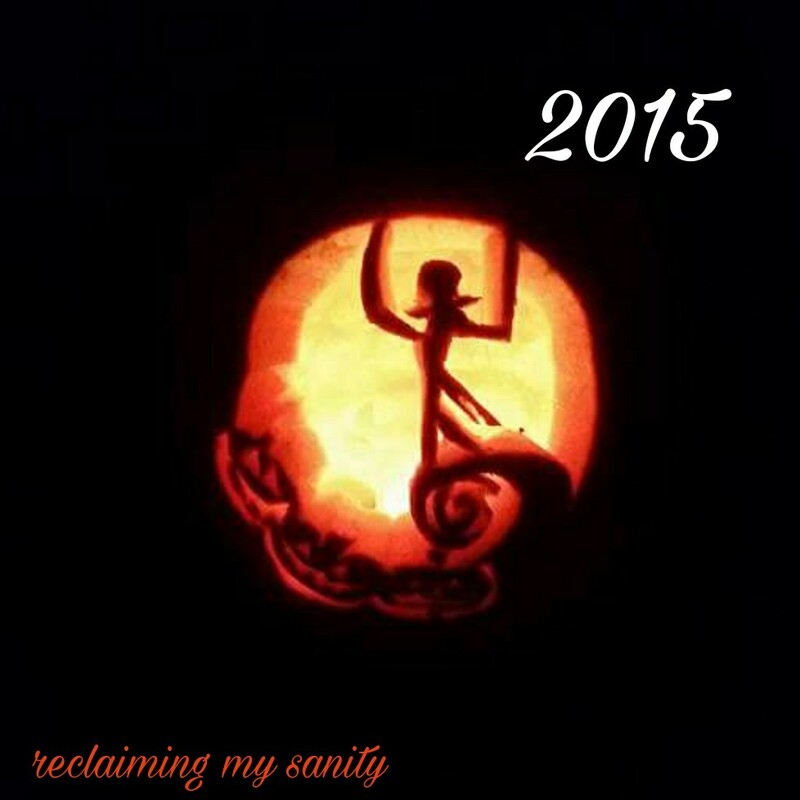 Suppose to be Jack Skellington. I did this one. I am pretty sure these were mine. I believe these were Chris’. Pickle and Chris made this. 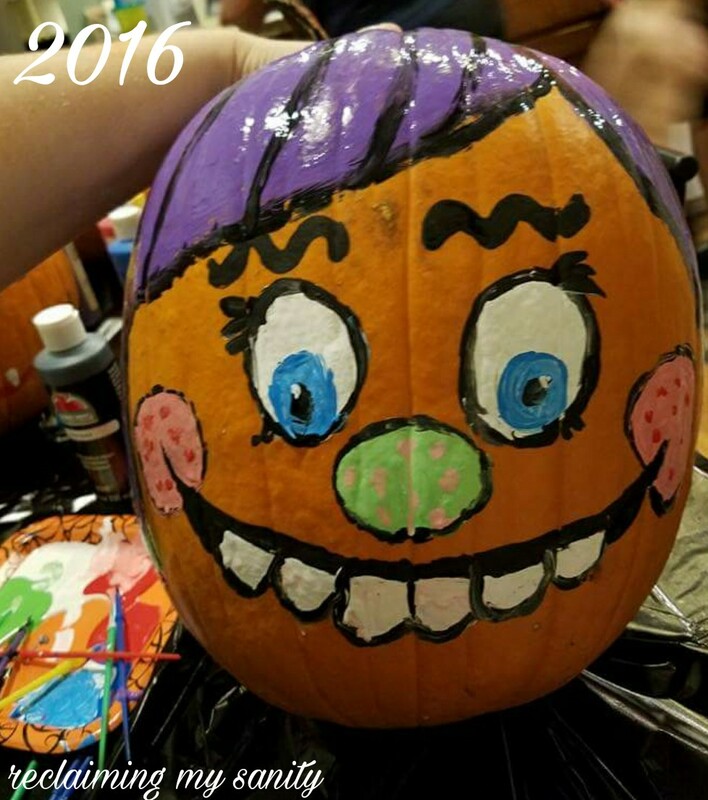 Last year we painted pumpkins. This was mine. 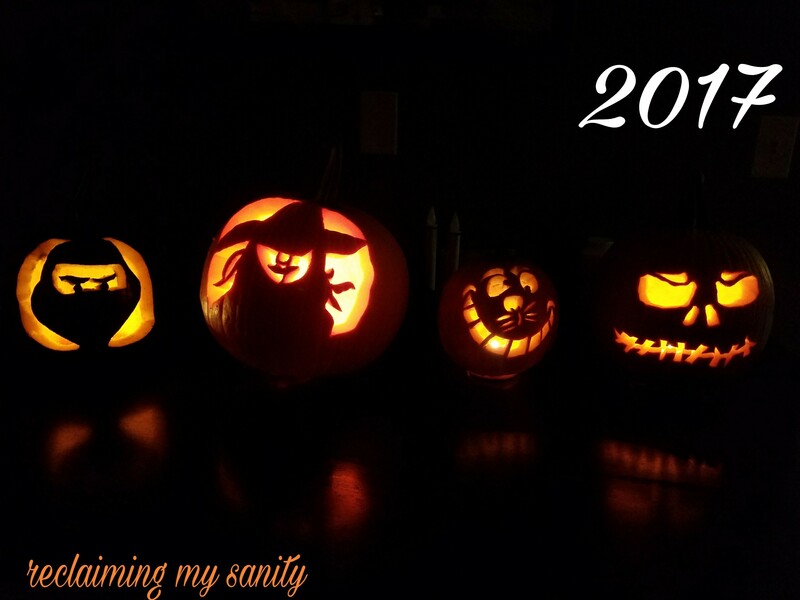 Here are this year’s pumpkins. I did the 3 on the left and Chris did the skeleton faced one on the right. Pickle wanted a Ninjago pumpkin. We painted it black and then I carved it. Poppy, she didn’t really have a say in the matter, but we watch Alice in Wonderland a lot. I also was wanting to do a kitty, so I figured Cheshire cat it is. The big pumpkin I had difficulty deciding what I wanted on it. I looked at so many ideas on Pinterest. Many of them were awesome, but I just couldn’t decide. Eventually I settled on Elphaba from Wicked. I have had defy gravity stuck in my head. Chris did his a skeleton face because our nephew wanted a skeleton pumpkin. Right now, our kids are too young to carve the pumpkins, but we did let them play in the pumpkin guts. Besides, they would rather be playing with toys. This is probably one of my favorite traditions of Halloween. 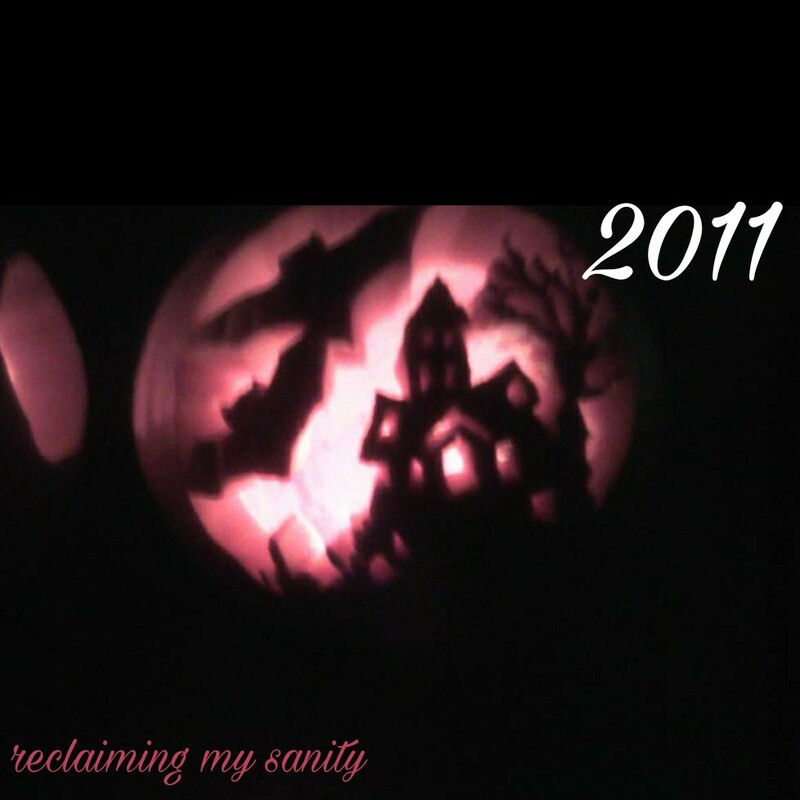 I find it relaxing to create these pumpkins. I also think they are fun to look at in the dark and say, I did that! 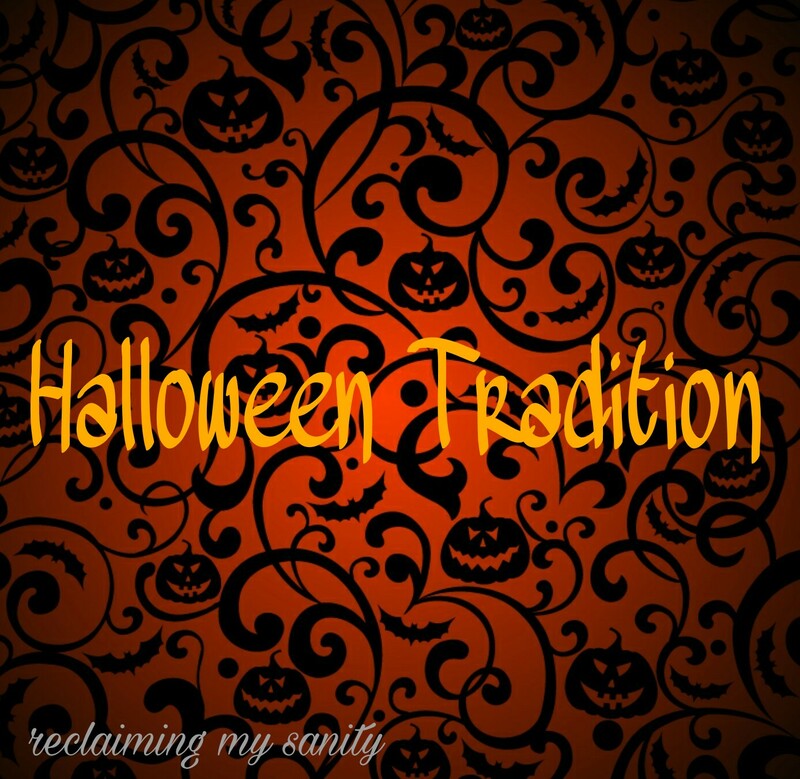 What Halloween traditions do you have? 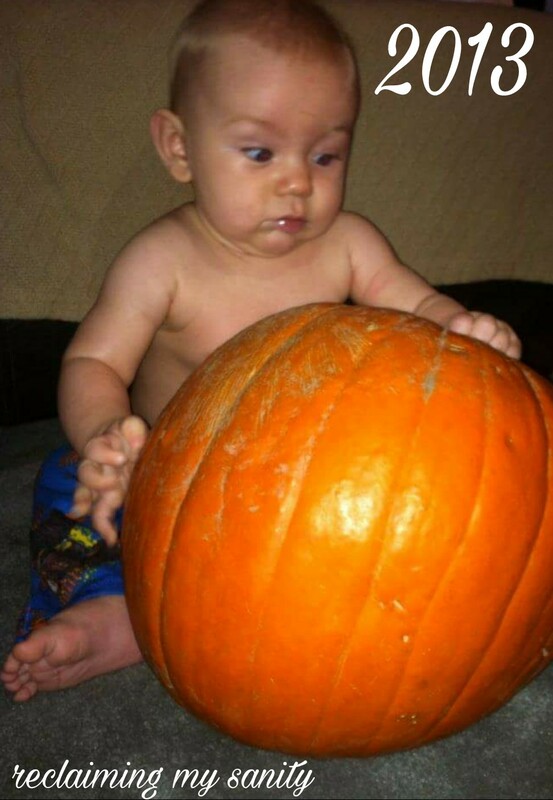 Do you carve or decorate pumpkins? Now, if you will excuse me, I need to get these rambunctious boys to lay down. We are going trick r treating tomorrow (stay tuned for that post). Happy Halloween to you and your family. We don’t celebrate it here, but I’m sure it’s lots of fun. Would love to be a part of it some day. You don’t? Please do tell, I am intrigued! We don’t. I think it is primarily an American festival isn’t it? I am honestly not sure! I have never really thought about the possibility that other countries don’t celebrate it. That is what I love about this blogging stuff, I can learn about other cultures! True. Honestly I don’t know much about it either. All my knowledge about Halloween comes from American TV shows and movies. I only know what I have experienced here, but I know there is a lot about how Halloween started that I don’t really know about. I know for some cultures it is celebrating their deceased loved ones. 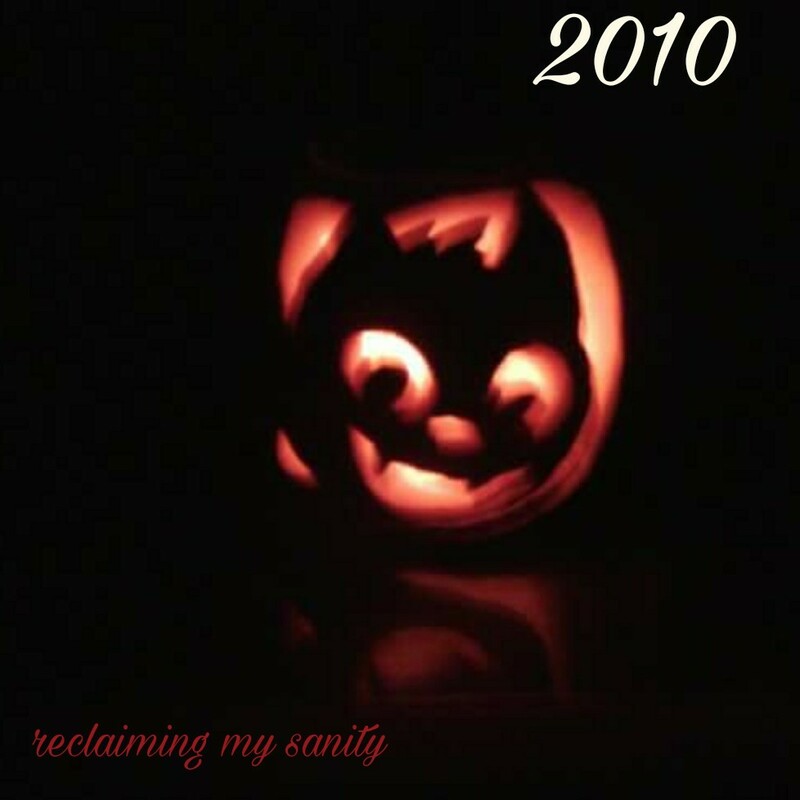 The other day I read Pagans would carve scary faces into pumpkins to keep evil away. It really gets me thinking! It makes me feel so niave sometimes.